Easter’s coming up fast! 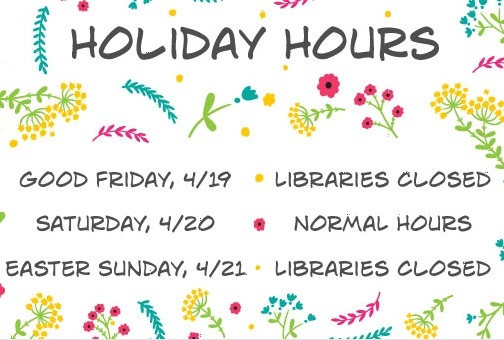 We’ll be closed Friday, April 19th, and Sunday, April 21st. Please note that due to Entergy construction, the Main Library on Goodwood will also close at 6PM on Wednesday, April 17th. The Digital Library is always open!